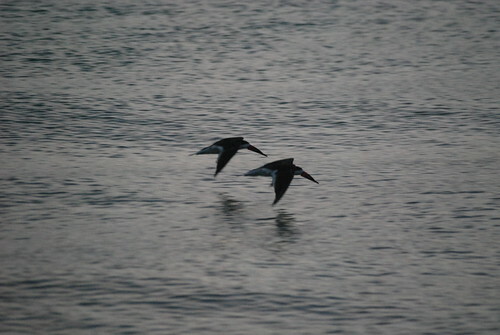 I can't leave Florida without one final set of photographs of skimmers on the Gulf Coast. We left Orlando on Friday evening, after TechEd finished, and headed away from the hodgepodge of theme parks and tourist traps for some peace and quiet on the coast. Clearwater Beach was a bit too busy for our tastes, but Honeymoon Island and Dunedin were rather delightful, as was Pass-a-grille, where we spent last night just across from the beach. 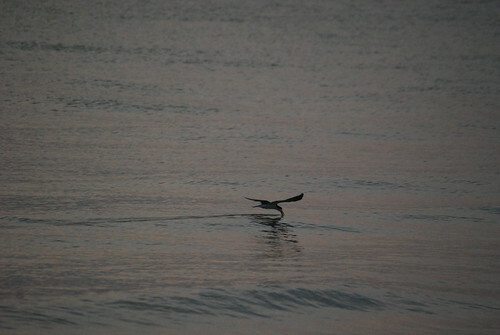 As the sun set, the skimmers came back, sliding gracefully over the calming sea. A fitting end to a long trip.